Want the horror experience of Halloween? Head to one of Arizona's Theaters & Plays for some scare. 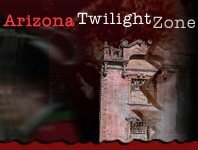 You don't have to run from zombies chasing after you at the many attractions in Arizona, but that's not to say you won't want to get out of your seat from the horror scenes.